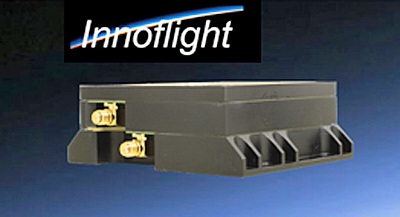 SSL has been selected by Innoflight, Inc. to provide a high fidelity simulation environment for testing the security of hosted payloads on commercial satellites. The capability, which is being developed for the U.S. Air Force Space and Missile Systems Center (SMC) as part of that organization's Secure IP Payload Accommodation Demonstration Project, will enable SMC to demonstrate cyber-secure payload hosting scenarios, concepts of operation, and cybersecurity controls. The capability will also demonstrate advanced, secure internet protocol connections between a government payload operations center and the hosted payload using the existing satellite operator’s networking infrastructure, eliminating the high cost of specialized space to ground communication systems. The hosted payload interface is expected to play a key role in enabling resilient, next-generation space architectures. Richard White, the President of SSL Government Systems, noted that SSL has significant experience integrating hosted payloads into the company's leading commercial spacecraft platform, the SSL 1300. The firm's commercial experience positions SSL well to provide the precise test environment that Innoflight requires to demonstrate how its secure interface solution will ensure cybersecurity for U.S. government missions. This work will become an integral part of SSL’s secure interface for hosted payloads and will make the benefits of the hosted payload model more readily accessible to both government and commercial customers. Jeffrey Janicik, President of Innoflight, added that a key factor in our selection of SSL to work with the firm in support of SMC was the company’s leadership in commercial satellite design. The test environment will benefit from SSL’s global reach and high level experience with hosted payloads and secure communications.